While the last episode of Dave's Lounge explored some of the funkier, groovier permutations of downtempo, this episode brings it all the way back to the chill side of things. This is a mix of long-form, exceptionally mellow tunes, designed to help you relax during these long summer days. Enjoy this mix on your favorite hammock or beach chair. You can listen to the music in this episode without any voiceovers whatsoever on the Dave's Lounge Mixcloud channel: http://www.mixcloud.com/daveslounge. Don't forget to tell me your favorite song from this week's show in the comments below! Take your place to chill on the go with the Dave's Lounge App, which gives you to streaming access all the latest episodes of Dave's Lounge, plus bonus mixes not available in the podcast, for only $1.99. 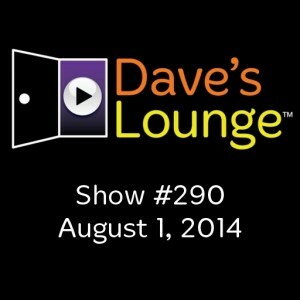 The Dave's Lounge App is now available for iOS, Android, Windows Phone, and Windows 8. Dave, thanks so much for a great Chill mix this week. Absolutely beautiful. Will be be played often in the coming weeks. Very nice chillout compilation so far, minute 15-16 is pure inspiration! Thank you so much Dave. LOVE this mix, definitely a audio journey! Fantastic mix Dave – that final track was beautiful, reminded me of Pink Floyd in a way.